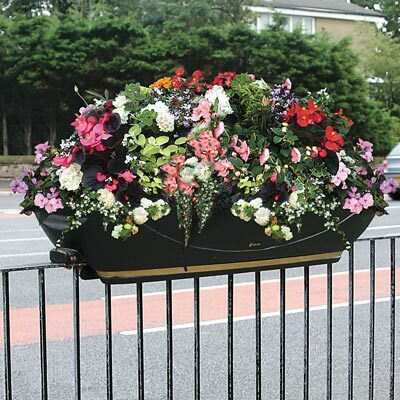 Here at Glasdon we produce self–watering planters which can be wall, lamp post and rail mounted. 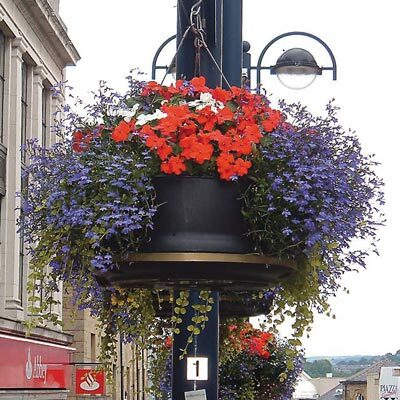 Ideal for brightening up towns and cities, these low–maintenance public hanging planters water themselves, providing an attractive solution which is low–maintenance and efficient. Great for outside pubs and businesses, these public planting troughs are an aesthetically pleasing addition to many outdoor applications.